Holiday Jazz Concert Raises Nearly $1,000! 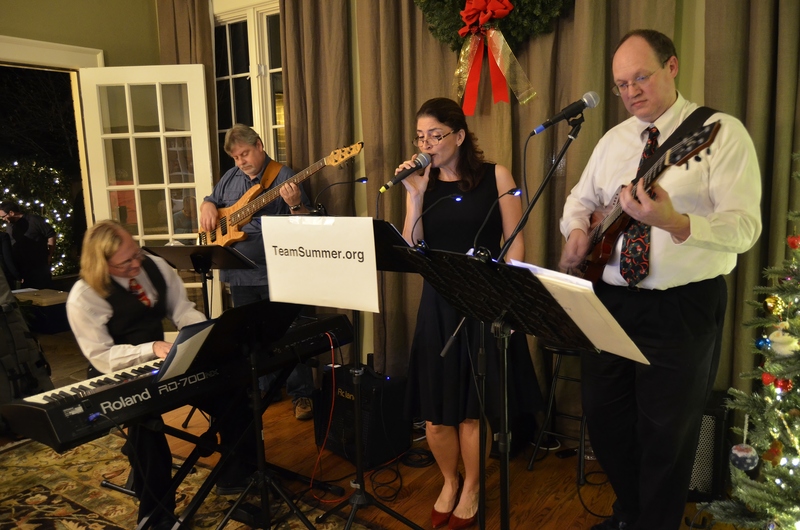 Through their innovative on-line concert, the fabulous duo, Godfrey and Guy, raised nearly $1,000 for Team Summer! Accompanying them were Lauran Hunt on bass and Tom Olsen on keyboards. During the holiday open house at Rev. Terry Davis’ home, minister of Northwest Unitarian Universalist Congregation (and the very same minister who officiated Summer’s Celebration of Life), Godfrey and Guy beamed their performance into cyberspace where, for a donation of any amount, viewers could log in and hear a live show of holiday classics. Godfrey and Guy sounded amazing, and we are so grateful for their generous hearts. And many thanks, too, to the awesome NWUUC members who filled the tip jar with donations to Team Summer!